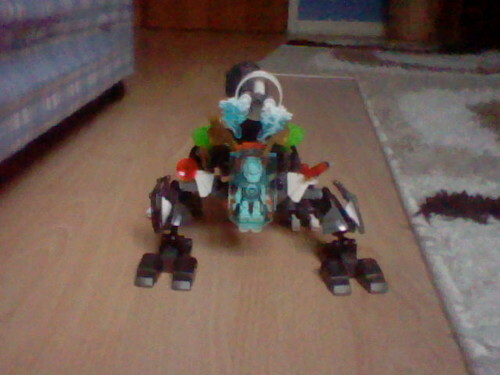 This is the first MOC I've put on here, and it's a combination of Rocka BA, Scarox and Stormer's Freeze Machine. Also, for some reason, this place won't let me insert my pictures from Flickr? Hope you like, and I look forward to feedback! pretty good one you mae there! altough the trans green is a little glaring. and for insert pictures from flickr, reading this tutorial might help you. Where did the second large hand piece come from? Where did the second large hang piece come from? Which part is the large hang piece? 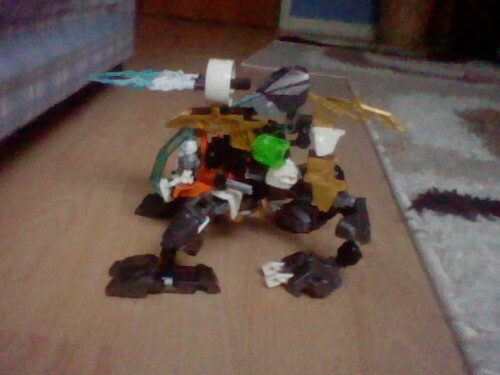 And it must have come from either Scarox, BA Rocka or Stormer's Freeze Machine, because they're the only pieces I used. 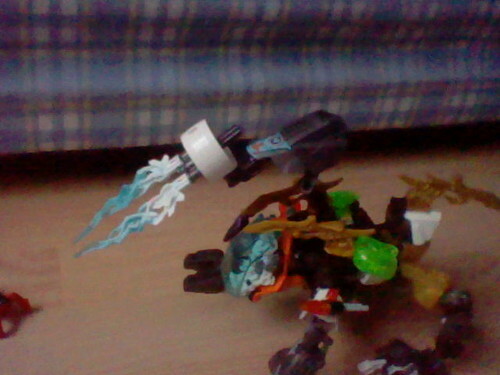 Sorry, typo, I meant the large hand piece on the back leg. 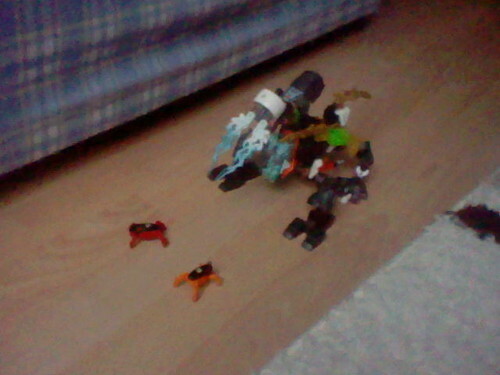 As far as I know, there was only one between the three sets. EDIT: Never mind, my mistake.